Following April’s showers (or snowstorms this year), come the flowers of May, and one of the most popular spring-blooming perennials is the tulip. 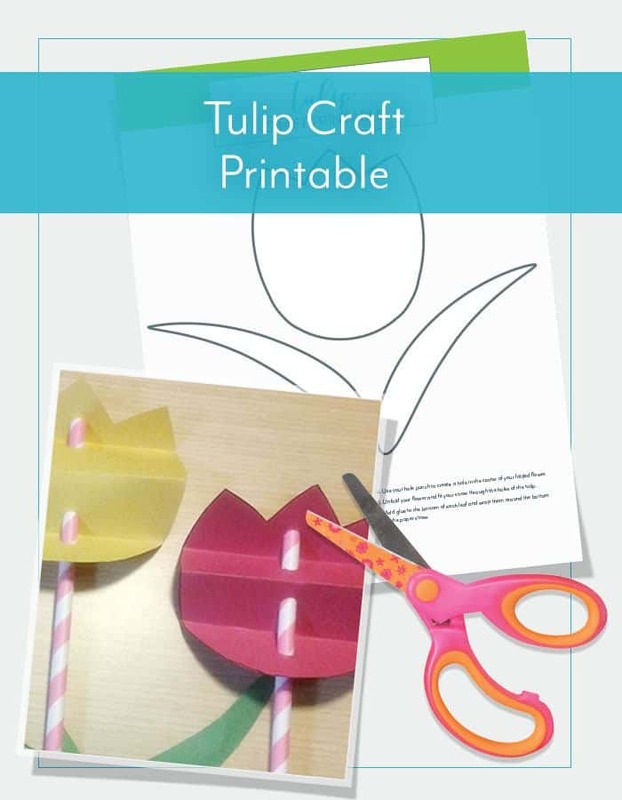 To brighten your homeschool this spring with a fun craft, use this free printable from Alpha Omega Publications and a straw to create your own paper tulips. 1. Download our printable tulip template. 2. Color the template or trace the flower and leaves onto appropriately colored construction paper. 3. Cut out the flower and leaves from the template. 4. Fold the flower four times accordion style. 5. Use your hole punch to create a hole in the center of your folded flower. 6. Unfold your flower and fit your straw through the holes of the tulip. 7. Add glue to the bottom of each leaf and wrap them around the bottom of the paper straw.